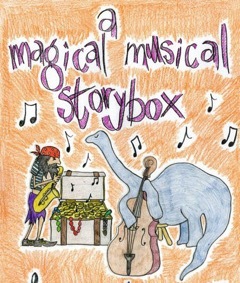 Click here for tickets to the children’s show ‘A Magical Musical Story Box’, as part of the Cambridge Jazz Festival 2017. Written by Sara Mitra and Lottie Allen, the show features a live jazz band and plenty of interaction and dancing for young children. Shows are at 2pm and 3.30pm Sunday 26th November, and feature Kate Mullins of The Puppini Sisters as lead vocalist. thank you for all your well wishes and kindnesses over the past few months. Life with a brain tumour has been a challenging experience, but have received lots of incredible medical help. My personal performance of my songs has had to end (for now) as there are various symptoms still ongoing. However, some works composed before this time are being performed in the next few weeks, which is nice. Here are the details. BASCA/BBC Singers concert for Radio 3 broadcast will be including a performance of my choral piece ‘The Body Windows’. Sara has co-written a jazz/interactive drama show for young children. Titled ‘A Magical Musical Story Box’, the next performance is at the Cambridge International Jazz Festival 2016, with two sessions on Sunday 27th November. Click here for ticketing information. Sara’s delightful interactive music/drama show for small children will be one of the final events at the Cambridge International Jazz Festival 2016. Click here for more information. “I’ve been coming back to it a lot this year… I feel like its been a proper grower of an album, it didn’t immediately sound like everything else she’s done before, and neither should it… I’ve lived with it for a while now, and it’s really just a beautiful album with a great sound and a great sense of atmosphere throughout it.” Jamie Cullum, BBC Radio 2, 15/12/15.